Most people will file for Social Security disability because they are physically unable to work. But for some, it’s not the work that poses a threat, but the risk of blood clots or unstoppable bleeding. The disorder. Many hereditary clotting disorders can be considered for disability benefits—most commonly hemophilia and thrombocytopenia. In addition to these, the SSA will also allow benefits for certain acquired clotting disorders, such as those caused by blood protein defects or inhibitor autoantibodies. 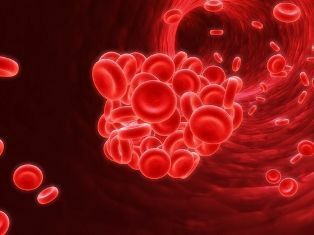 The diagnosis.The SSA usually accepts a blood clotting disorder diagnosis based on the assessment of a patient’s plasma clotting-factor proteins (factors) and platelets. The type of hypercoagulation disorder (such as protein C or protein S deficiency) will be used to determine your disability rating. The length of hospitalization. A patient’s disorder must be severe enough to cause complications that require overnight hospital care. A patient must have suffered at least 3 periods of hospitalization lasting 48 hours or more within a 12-month period. These periods of hospitalization can be for the same or separate symptoms of the underlying disorder, as long as the hospital stays occurred at least 30 days apart. Common complications may include uncontrolled bleeding requiring transfusions or an unrelated surgery that requires treatment with anticoagulants or clotting agents. If you have previously been denied benefits for a blood disorder, we want to help you get the compensation you need. Call 402-933-5405 to speak with one of the attorneys at Cuddigan Law today or order our free guide, 5 Deadly Mistakes That Can Destroy Your Social Security Disability Case.